A patient that is missing an entire row of teeth is in a unique position: a chance to start fresh with a full-arch restoration! While there are other options for treating a full row of missing teeth such as single implants and dentures, patients these days are expressing a desire for a solution that is more affordable, quick and convenient. The demand for immediate replacement teeth has led to a revolution in how we deal with missing teeth: the full-arch restoration. Also known as “implant supported dentures”, this innovative treatment allows Dr. Imray, Dr. Gesek and Dr. Middlebrooks to combine implant technology with dentures to give our patients a new smile and a renewed outlook on life, all in one day! 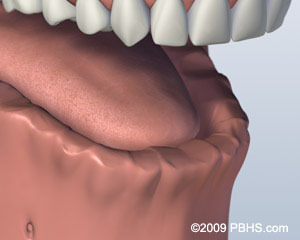 Traditional dentures can be inconvenient, painful and unstable. And while dental implants are an excellent choice for single tooth replacements, on the scale of a full arch, they can be expensive and complicated. However, putting these two treatments together yields a solution that works for nearly everyone: implant supported overdentures. During this treatment, four dental implants are placed in the jaw and a full dental bridge attached to them, giving you a full row of teeth in just one appointment. Cost: Because this treatment requires just four implants per arch, it is much more affordable than placing an entire row of implants. 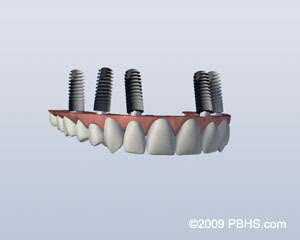 Convenience: Replacement teeth can typically be placed during the same appointment as the implants. Bone Graft-Free: Two of the four implants are placed at special angles in the back of the jaw to make the best use of available jawbone. 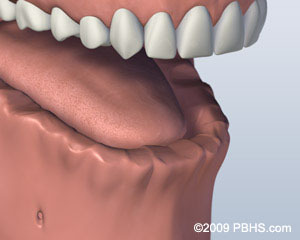 This often eliminates the need for bone grafting. Faster Healing: Less time in the chair and less time healing round out the benefits of full arch restorations. As with other dental implant procedures, you will be anesthetized for comfort during the surgery and thus won’t feel a thing. Post-operation soreness is typically manageable with over-the-counter medications, and any necessary prescriptions will be discussed at your appointment. 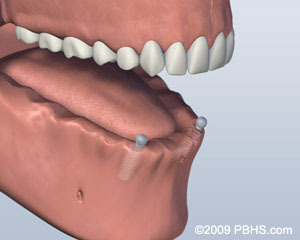 Two implants are placed in the lower jaw, onto which a denture snaps into place. 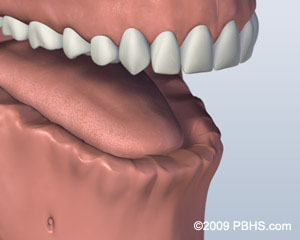 This option is more stable than traditional, removable dentures; however there will still be some movement. Sore spots can develop if food is caught underneath. Periodic appointments ensure proper adjustment. 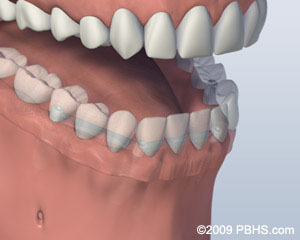 Referred to above as “overdentures”, this process involves the placing of four to six implants in the lower jaw. A custom support bar connects the implants, and a denture with internal retention clips is attached to the support bar. This option is very popular as the denture is more stable than with ball attachments, yet it is still removable for cleaning. 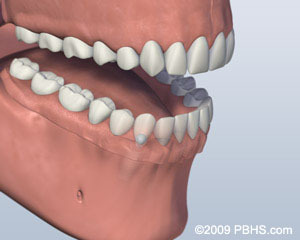 Also known as a screw retained denture, this option offers maximum stability. Placed on five or more implants and secured by screws or clasps, the denture is permanent, only removed by us at maintenance visits. 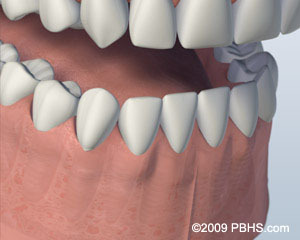 The denture does not contact gum tissue, allowing you to clean under it without removal. 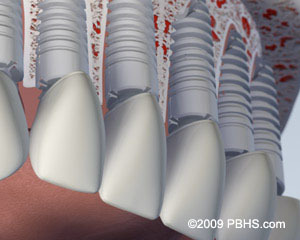 Of course, there is always the option to have each missing tooth replaced by an individual dental implant. 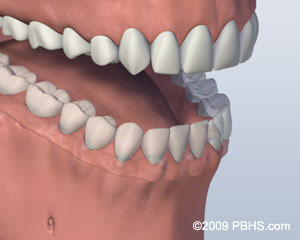 The benefits of this are increased stability, preservation of the jawbone and a natural look. However, the process is the most costly and time-consuming. The treatment options for the upper arch are basically the same as those mentioned above, however additional implants are sometimes needed to compensate for softer bone. 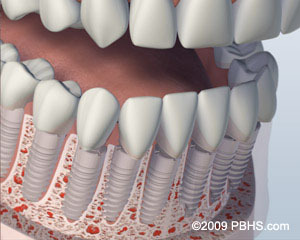 For more information on dental implants, please visit our FAQ page. If you are fed up with dentures and are looking for a better, more permanent solution, please call us to find out more about the life-changing transformations that full arch restorations are giving patients in our office.